Domestic cricket has been an amazing Bharat darshan for players! Can India return from their three-month visit to the antipodes without losing a series? They can if they win the third and last match of their Twenty20 series against New Zealand in Hamilton on Sunday afternoon. If the team returns unbeaten it will be a record to remember and a tough benchmark for the Indian teams visiting Australia-New Zealand from now on. Winning in all formats is some achievement, rather not losing in any format. Whatever may happen in the last match of the tour, India still can take pride in their performance thus far. India have won the Test series in Australia 3-1 and if rain had not intervened in a big way in the third Test in Sydney, they would have won 4-1. They have snatched the One-Day series 2-1 after losing the first game and should have taken the Twenty20, too, quite comfortably but for the rain that left it 1-1. In New Zealand, India lost a 50-overs match after winning the five-match series 3-0 and finally made it 4-1. Fans forgot about the Test series and the ODIs in Australia and the New Zealand leg kept everyone busy with his or her probable World Cup squad. Some former internationals picked their squads and the fans on the social media not far behind. Thirteen players select themselves and the other two places are still up for grabs. 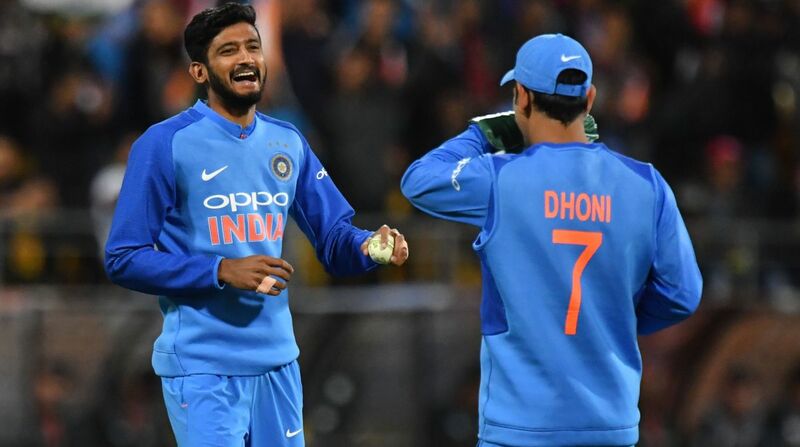 Five more ODIs are yet to be played against Australia in India later this month before the national selectors sit down to finalise the composition of the squad. Amidst all this activity overseas, fans still had time to follow the Ranji Trophy knockout rounds. Not long ago, it used to be said Ranji Trophy had an unwieldy schedule with too many also-rans. They tried everything, from an elite group of top eight teams and the rest in groups of lesser mortals. The less-privileged member-units cried why should there be any discrimination when every association has one eat each. They could never imagine one day the number would go up to as many as 37 associations, with the addition of 10 more teams to play in the Ranji Trophy, thanks to the Justice Rajendra M. Lodha reforms committee set up by the Supreme Court. This led to creation of facilities even in places in northeast where there was no cricket culture or the infrastructure. Every association and every player seemed to be enjoying their newly acquired status. The game itself has spread to such an extent that in the last 10 years three teams won the Ranji Trophy for the first time and two of them, Rajasthan and Vidarbha, did it back-to-back to join Bombay, Maharashtra, Delhi and Karnataka as the only teams to do so. Gujarat became the champions for the first time before Vidarbha not only emulated them but retained the trophy this year. Vidarbha’s victory over Saurashtra was too close a fight for the first innings lead. A remarkable rearguard action saw Saurashtra come tremulously close to Vidarbha total, five runs separating them, 307 to 312. Batting in the fourth innings did not help Saurashtra looking for their first Ranji title. Some saw Saurashtra’s loss as a poetic justice, at least in Karnataka, who felt cheated when in-form Chetshwar Pujara was ruled not out caught behind by umpire not hearing the sound of a clear snick. Of the quarter-finalists, Karnataka had five players who had either played Tests and international matches — Vinay Kumar, Mayank Agarwal, Manish Pandey, Karun Nair and Abhimanyu Mithun — Vidarbha had a Test fast bowler Umesh Yadav, Gujarat had Parthiv Patel and Piyush Chawla and international Axar Patel and Saurashtra were lucky to get Pujara to join his captain Jayadev Unadkat to play in the semi-final and the final. Rajasthan, Kerala, Uttar Pradesh and newcomers Uttarakhand had no international players playing for them. Teams cannot insist on their international players making themselves available for domestic cricket as they are in the hands of the India team management, which decides on their work load. Before going to Australia, fast bowler Mohammad Shami was clearly told not to bowl more than 15 overs in a Ranji Trophy match, but he went on to bowl 26 overs. Teams also lost players to India A side and that, of course, enabled them to try out their bench strength. Ranji has become a four-tier league with three Elite groups of two nine teams and the third 10 and a Plate Group of nine newcomers from northeast and Bihar, Uttarakhand and Puducherry. Five teams qualified from the top two tiers and two from Group C and eighth from the Plate division. The churning is going on and it needs to be fine tuned further next season. With all the matches getting played at neutral venues it has become a gigantic task with already problems in arranging match officials for the age-group tournaments.